Your Facebook search history is saved in the form of a list in your Facebook account. Saving your Facebook search history is supposed to help you by making it easier for you to find what you’re looking for. Facebook is great for interacting with your friends and family, but it’s also creating a database in the background of anything you search for on their site. The social network stores every single term you enter in the search box. 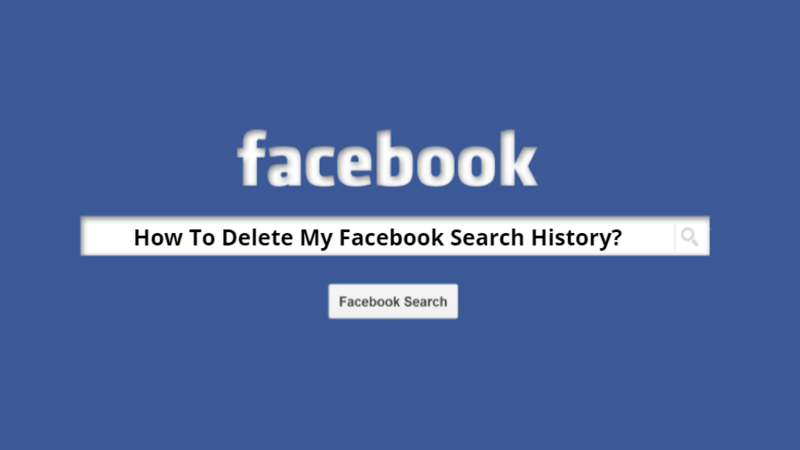 So, here are the steps to Remove Facebook Search History. First of all you need to Log in to your Facebook account. Head to your Facebook profile and click the Activity log option at the bottom right of your cover photo. Click More under Comments to expand the list. Then scroll down and click on the Search link. 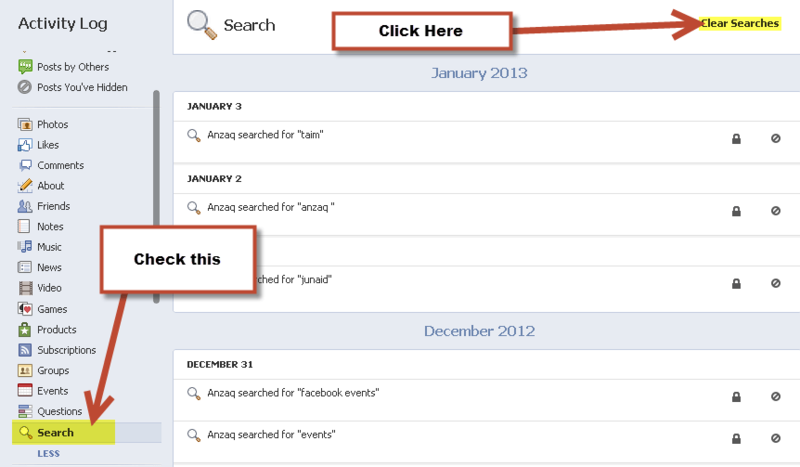 Now you need to click Clear Searches which will state in the top of the page. A confirmation dialog box displays for this action, as well, reminding you that your search history helps them show you better results when you search.